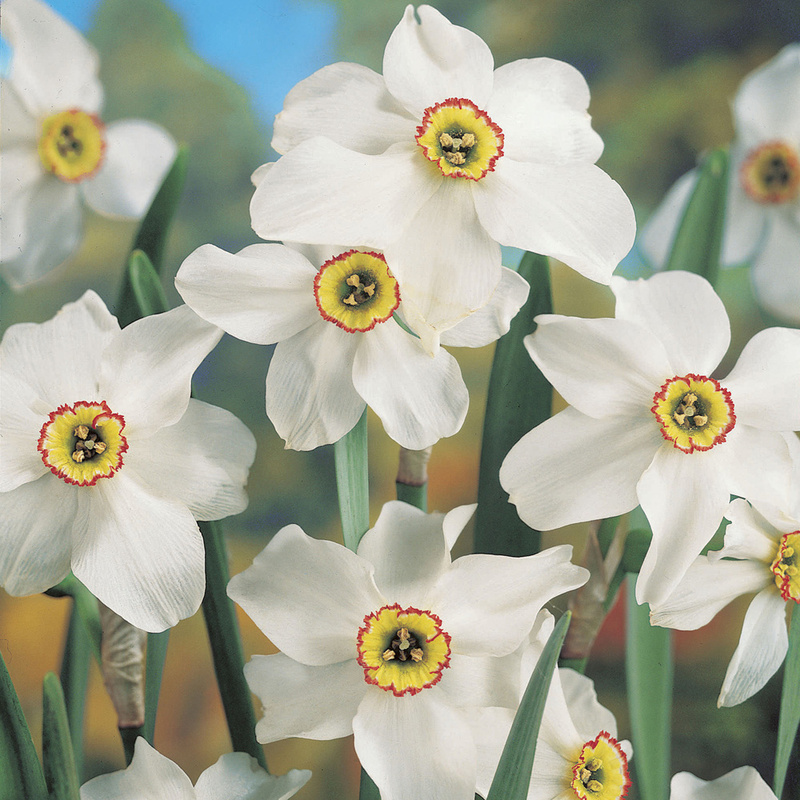 One of the most popular Daffodils ever, a traditional British favourite that has been adding pleasure to the British landscape for over 100 years. Flowering from May, producing stunning white flowers, coupled with eye-catching orange-yellow cups. Height 35cm. Particularly useful for the cut-vase. 8/10cm bulbs supplied. Normally priced at £9.99 for a pack of 25, now available to our loyal email followers for only £2.99 - Saving £7.00 off RRP. 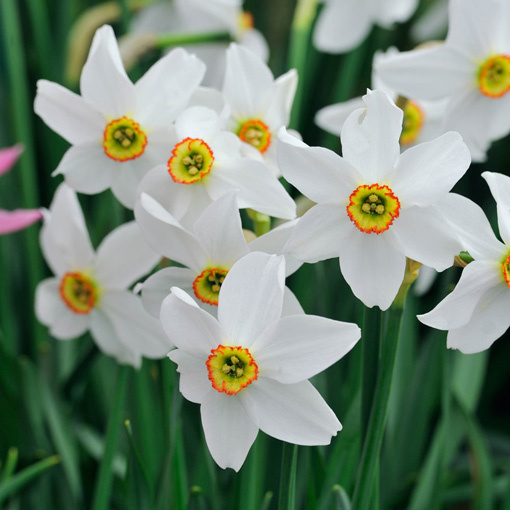 Daffodil Bulbs should be planted at least 10cm deep in the autumn. Space as desired or plant in clumps for a cluster display. Daffodils prefer a spot well sheltered from the wind, preferably with plenty of access to sun.